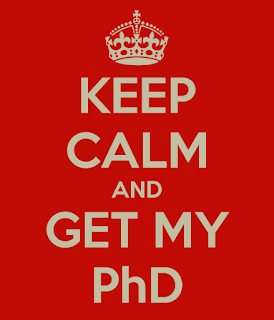 I'm preparing to take a significant academic leap in my life: I intend to get a PhD. You may have known that this announcement has been building for some time. I had been wrestling with both the intention as well as the timing of this decision. After such consideration, I decided that the Fall of 2015 was the right time to take the first steps. Over the next few months, I'll be preparing my application, taking the necessary preparatory exams, and meeting with professors I hope will be my mentors in my degree program. My desire is to study and research fear. If you've been a reader of my blog, then you know that I'm fascinated by the psychology of fear and challenge. I would like to hone that fascination and turn my various hypotheses into working theories and models. As with many things, this will take time and money; it is with those two things that I'm asking your help. This is a big decision, not least ways financially, and I'd like to minimize the amount of debt I go into as a result. I would appreciate any amount you're willing to give me. Within these first months, you'll be helping me to pay for taking the GRE and the study materials to perform well on it. You'll also be helping me pay application fees and order the necessary documents. Money isn't everything. I want your help keeping my focus and motivation. Ask me about my progress, remind me about my priorities, encourage me to continue forward. Life is all about the connections we make and you have connected with me; I value your input, advice, and encouragement. Thank you for your support, both financially and motivationally. I'll keep you informed of my progress as I walk this journey. I hope to hear your cheers along the way.